Rising fuel prices may leave you wondering if you should still hit the road this summer. 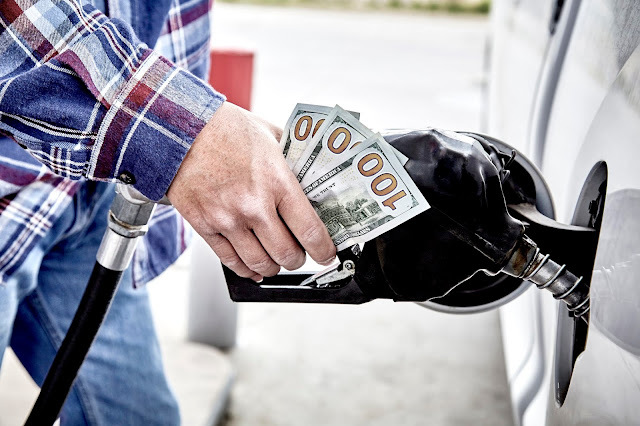 FMCA and the “RV Doctor” Gary Bunzer have compiled four steps for all RV owners – gas or diesel, motorized or towable – to combat higher fuel prices. It’s a matter of science: increased speed uses more energy and, therefore, more fuel to overcome increasing air resistance. The relationship is approximately a 3:1 ratio. What this translates to is that for every 5 miles you drive over 60 MPH, fuel economy drops roughly 8% for the average passenger vehicle. This drop is even greater for a motorhome or vehicle pulling a large travel trailer or fifth wheel. It is believed by many that 55 MPH is the appropriate speed to maximize fuel efficiency. This, of course, depends on your specific vehicle, but slowing down is one sure way to improve fuel economy. RVers are encouraged to slow down anyway, if just to enjoy the scenery! Another way to get the most out of each fuel fill-up is to drive shorter distances and spend more time at a single location. Why not experience the lifestyle closer to home rather than heading out of state? Search for a nearby campground and make it your “go to.” In fact, the Recreation Vehicle Industry Association (RVIA), reports that 21% of RVers will reserve a seasonal site at a campground this summer and visit it on weekends. 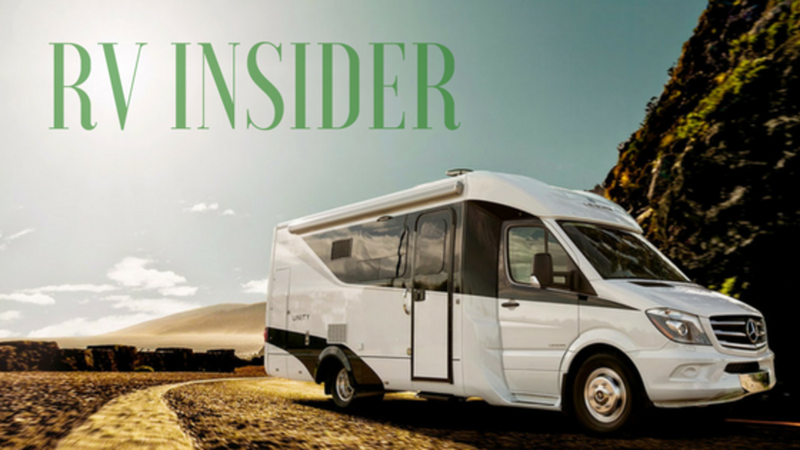 A lesser known means of saving fuel, as well as maintenance costs, is to be sure all RV tires are inflated to the correct air pressure. This is only achievable by knowing exactly how much weight each tire position is supporting. Tire manufacturers publish recommended maximum inflation charts for every tire size. It is important to note that the pressure indicated on the tire’s sidewall is the maximum inflation pressure for that tire and NOT the recommended pressure. Furthermore, the RV maker or your RV dealer will not publish a suggested pressure either. Simply put, manufacturers cannot predict how much gear you will load into your RV; each RV’s weight is unique. It is highly recommended to have your RV properly weighed using individual scales by an accredited RV entity such as the RV Safety and Education Foundation (RVSEF). RVSEF provides this weighing service at most FMCA RV Expos. Watch this video to learn more about proper RV tire pressure. Idling results in wasted fuel. When idling, the fuel consumed results in 0 MPH. Plus it’s not beneficial to the environment. Turn off the engine when stopped or parked for any lengthy period of time. RVing = Still Saving You Money While rising fuel prices are a hot topic, RVing continues to be one of the most cost-effective and enjoyable forms of travel for many. According to survey results collected by the RVIA, RV travel saves a family of four 27% to 62% compared to the cost of other types of travel. So don’t let high fuel prices minimize your excitement about summer RV trips. Remember, RVing is more than a hobby; it’s a lifestyle. Enjoy the ride! FMCA RV Club brings you this monthly tech tip to Enhance Your RV Lifestyle. FMCA delivers RV know-how to its members. Learn more at FMCA.com. I can verify the speed point. On a trip last year when I was in a "hurry" the mileage was 9.5 per gallon. A recent trip was more leisurely and the mileage came in at 11.5. We have a Hideout 5th Wheel Trailer. Before we take a trip, I always check the tire pressure (book calls for 65 psi) for trailer and truck. When growing up Daddy always said never pull over 55 mph and I live by that to this day (65 years of age). It may take a little bit longer to get to campground, but you can save a bit of cash. I know folks that get behind me most likely hate having to follow me, but the 55 MPH is my rule. Every penny counts. One other note, it is easier to stop a when pulling a trailer at 55 MPH that to stop a 65 or 70 MPH. It takes longer to stop when pulling or towing, so allow for that.